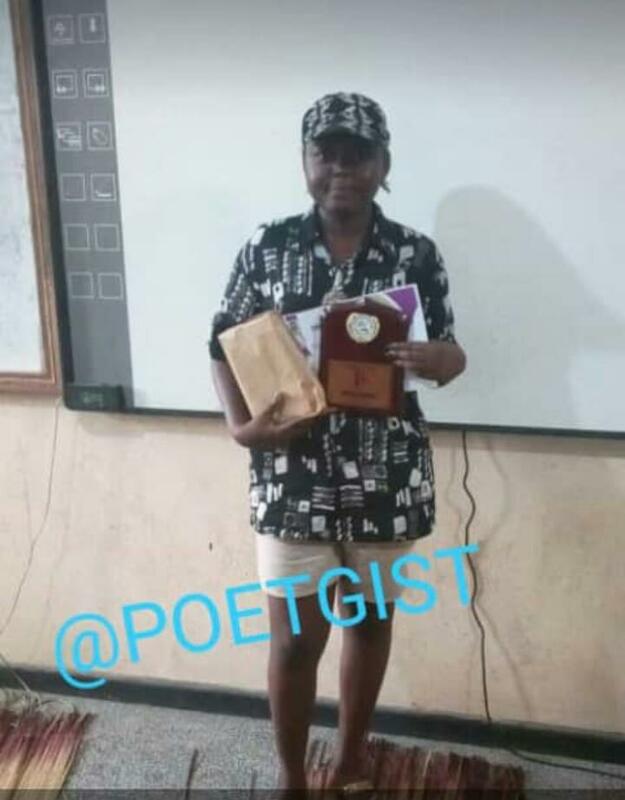 In honour of Christopher Okigbo, a Nigerian renowned poet in the 60s, who died on the war front during the Biafra War, Okigbo Poetry Club, University of Ibadan has, on April 10, 2019, organized a poetry contest during her annual festival. Prior to the day of the contest, many entries were submitted by students across Nigerian Universities. However, Kawthar Monisola, a penultimate student of Law, University of Ibadan came First with the poem titled ‘Retribution’ while Yussuf Uthman Adekola, a final year student of English, University of Ibadan came first runner-up with the poem ‘The Meaning of Grief’ and Israel Winlade from Obafemi Awolowo University came second runner-up with the poem ‘Heaven’. When asked about her feeling on her emergence as the winner of the contest, Kawthar Monisola said she was overwhelmed with every performance that day though she believed in herself. While talking about her source of inspiration, she said poetry flowed naturally to her and that reading enhanced the fluidity. Meanwhile, the president of the club, Mr Sofoluwe Mobolaji, a student of English who is due to graduate as the academic session ends expressed his sadness over the half-content of the state of affairs of the club and also urged the members of the club to do much more. He also lamented on the lack of sponsors for the programme and thus made a public appeal to influential persons who may be interested in sponsoring the Annual Poetry Festival.